ODDMALL RETURNS THIS JUNE! Booths available now! That’s right, you heard it here! 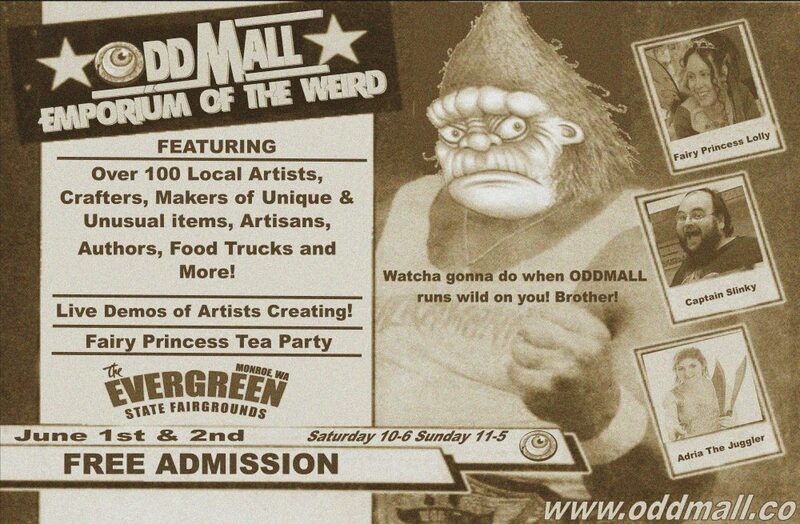 Oddmall: Emporium of the Weird returns to the Holiday Inn in Downtown Everett, Washington. Would you like to join us this June?